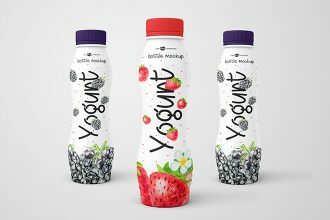 Create an awesome yogurt bottle label and packaging design presentation using these 3 Free Photo-Realistic Yogurt Bottle Mockups. 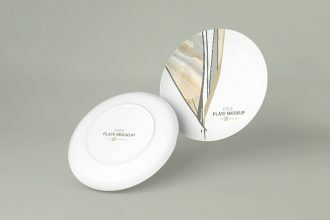 Insert your design via smart objects and voila your yogurt bottle design presentation will stand out from the crowd. 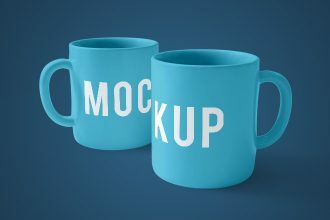 Welcome to download these 2 Free Vodka Bottle Mock-ups in PSD. 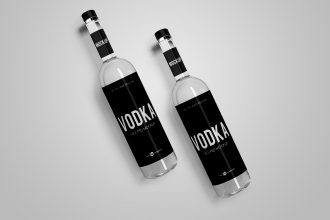 You can easily apply your vodka bottle label and packaging design using smart objects in a few tweaks. 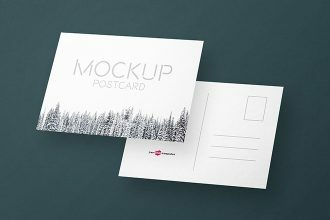 Using these minimalist free vodka mockups in PSD, you will create a photorealistic presentation of your own vodka label and packaging design. 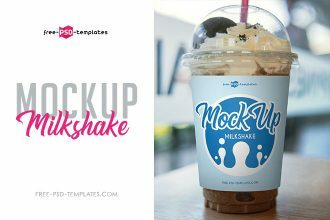 Download this cup mockup, Free Milkshake Mock-up in PSD, for professional showcasing product label and logo designs. 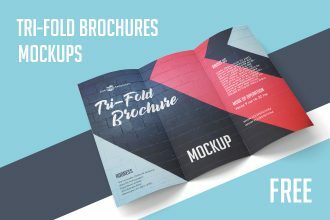 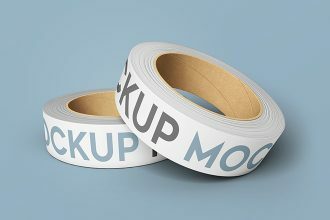 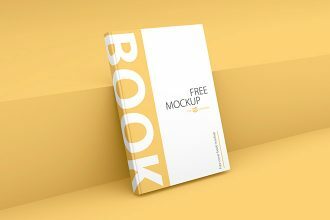 Using smart objects, simply insert your design into the mockup and make it look professional in the eyes of your end clients. 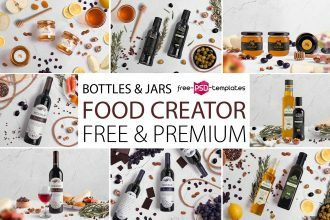 With this amazing, multipurpose Free Food Scene Creator + Premium Version you can create eye-catchy promotional food branding designs and presentations, banners or social media posts. 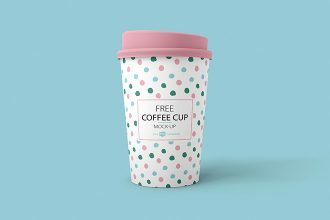 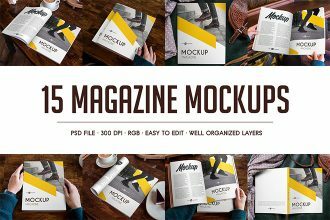 This free food mockup creator can be used by any type of food and drink business, such as catering, restaurants, cafes, food bloggers.